Pokemon Go Fest in Chicago was… well, it could've gone a whole lot better and not a whole lot worse. People were unable to play, speakers were booed, and tickets were refunded. So what was the problem? Niantic CEO John Hanke wrote in a new blog post that cellular network congestion was the biggest issue, this despite there being several COW (cellular on wheels) devices propped up throughout the event. Hanke wrote that Niantic provided attendance and data usage estimates to major carriers, but some providers did not provide additional coverage, apparently assuming that the existing infrastructure would be enough to handle the extra stress (spoilers: it was not). If anything, the unofficial after-party was when Pokemon Go kicked into high gear. With the release of Legendaries into the wild, players eagerly rushed to collect Lugia and Articuno. Hanke noted that "from late Saturday to Sunday, Trainers in downtown Chicago participated in more than 69,000 raid Battles and captured more than 7.7 million Pokemon, including more than 440,000 Legendary Pokemon." Worldwide the numbers climb even higher, to 4.6 million Raid battles, 500 million Pokemon caught, and 1.9 million Legendaries. Hanke wrote that Niantic will use what it's learned from Pokemon Go Fest to ensure a smoother experience in the future. And speaking of the future, the other two Legendary birds will soon be arriving, so mark your calendars and plan your 'sick' days. 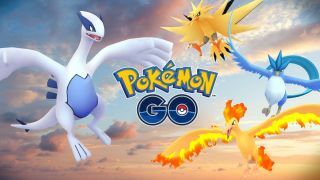 Articuno will appear through Monday, July 31, Moltres will be available Monday, July 31 to Monday, August 7, and Zapdos will be released on Monday, August 7 and available through Monday, August 14.